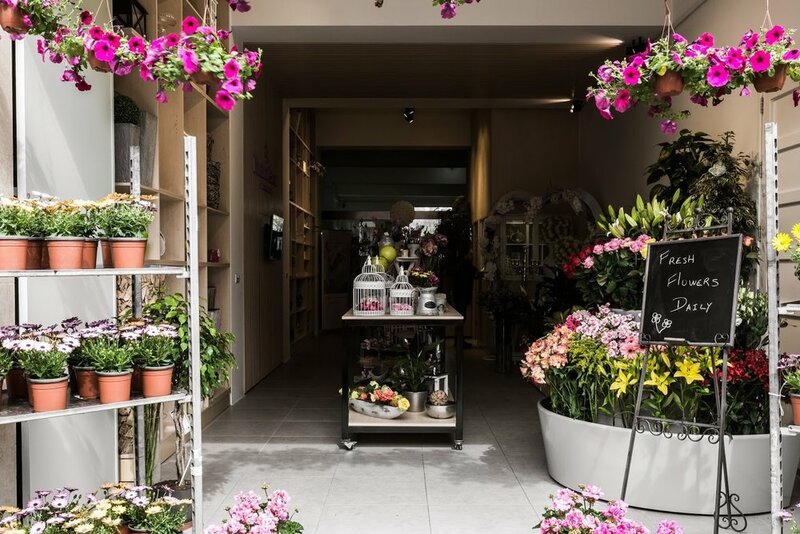 Romano Cassar is one of Malta’s premier florists. 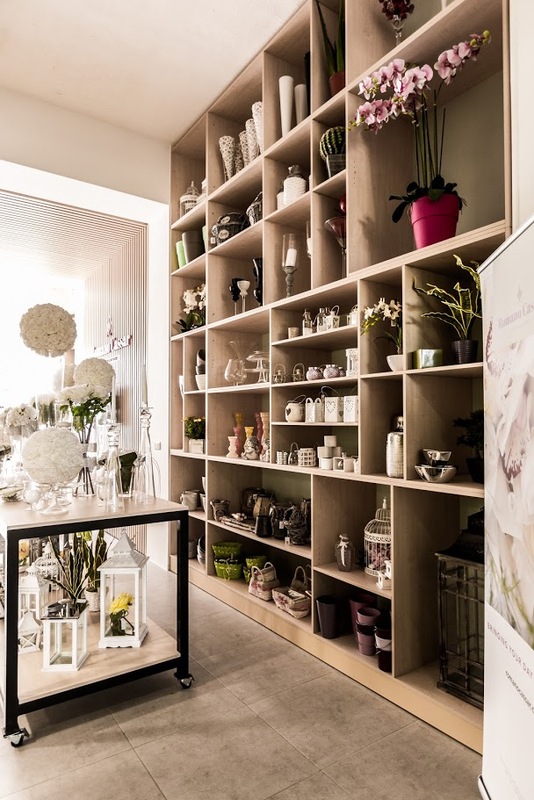 Caroline together with Steves&Co aspired to create a retail area that would capture the nature of the company whilst simultaneously showcase the many plant varieties and beautiful floral designs they create for their growing client base. In order to reflect the company’s keen eye for detail and design, as well as their genuine passion for floristry, natural materials were used to colour the space. Maple wood was used for floor-to-ceiling structures and a natural palette of mint, grey and beige were combined to emit a calm and earthy feel. The vibrant aesthetic taken on by the retail outlet greets you at the door, tied with the delicate scent of freshly cut buds; it truly is an experience for all the senses within the branded interiors. Large format shelving graces the high walls surrounding the retail area and serves as the perfect platform, giving the eye enough room to view all the decorative items on display. Flowerpots trim the area, carefully placed on top of modular steps with mint rectangular plinths. This horizontal rhythm adds a playful dynamic to the space, grouping particular floral items according to their visual qualities. The private office design was a project focus in itself. This room is a key component for Romano Cassar, as a large segment of business is derived from creative floral décor for weddings, private functions and larger-scale events. Thus, much attention was paid to curate a conservative and professional style that portrays the true character of Romano Cassar and sets the right atmosphere. All in all, it may be said that the interior layout and décor complements the outlet’s footprint and field perfectly. The subtle tones and fresh appeal mirror their creative artistry and first class delivery. A proud space.